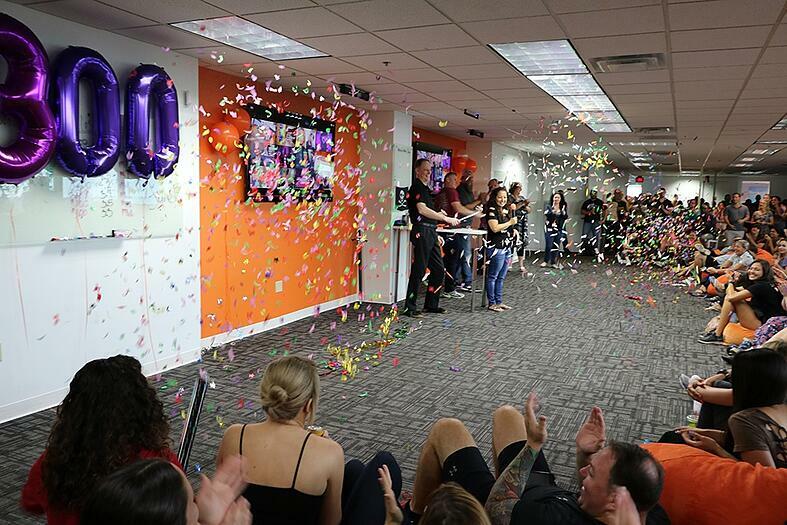 Today was a day for celebration as our 300th employee joined the KnowBe4 family. In December 2016, we welcomed employee #200, meaning in just six months time KnowBe4 added 100+ employees. That's what we call impressively fast growth! 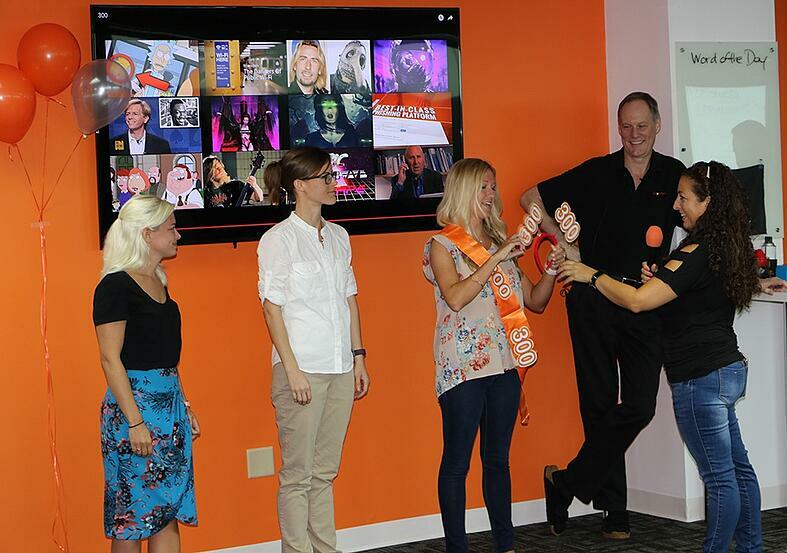 KnowBe4 is convinced there is no better way to start a Monday than with confetti! Of course, as tradition goes, it's not official until the sash and headband are put on. Congratulations to Ashley for being the 300th hired employee, we wish you the best of luck as you start your new position on our Customer Success Management team. We started on one floor with 27 employees and now we span across three floors with over 300 employees. KnowBe4 started from the bottom, now we're here! A big thank you to the three lovely ladies below for continuing to celebrate these important milestones with us as we add more pirates to this ship!